A week or so ago, 2011 Leaf Ink Cuts started hitting eBay. As was the case with the 2011 SP Legendary Cuts, I don’t have a whole lot of interest in the cards. Admittedly, the fact that they are not an MLB-sanctioned issue plays a role in this decision, but that rationale didn’t stop me from getting a complete team set of 2010 Upper Deck and most of the inserts. I think my biggest impediment was that I don’t feel like they are really Phillies cards because all of the Phillies cut autos just say “Philly’s Finest,” which actually means the player can either be an Athletic or a Phillie. Given the obscurity of so many of the players included in the series, a little research is necessary in determining which cuts are from former Phillies. Don’t get me wrong, I wouldn’t mind owning of few of these autographs, but my financial restraints dictate that I carefully decide which items to pursue. There is another issue at play: the authenticity of the autographs, which has been an issue ever since the card manufacturers started issuing cut autos. Compounding this, recent events regarding a Triple Thread Lou Gehrig memorabilia card make me that much more hesitant to purchase any card with a rare piece of memorabilia or autograph. In fact, it’s the obscurity of many of the players I’ve seen in 2011 Leaf Ink Cuts “Philly’s Finest” cards that gives me great pause. Here are a few of the Phillies who are currently available on eBay: Joe Bennett, Freddy Leach, By Speece, Howie Schultz, Paul Stuffel and Eddie Delker (note: links go to their Baseball-Reference pages). 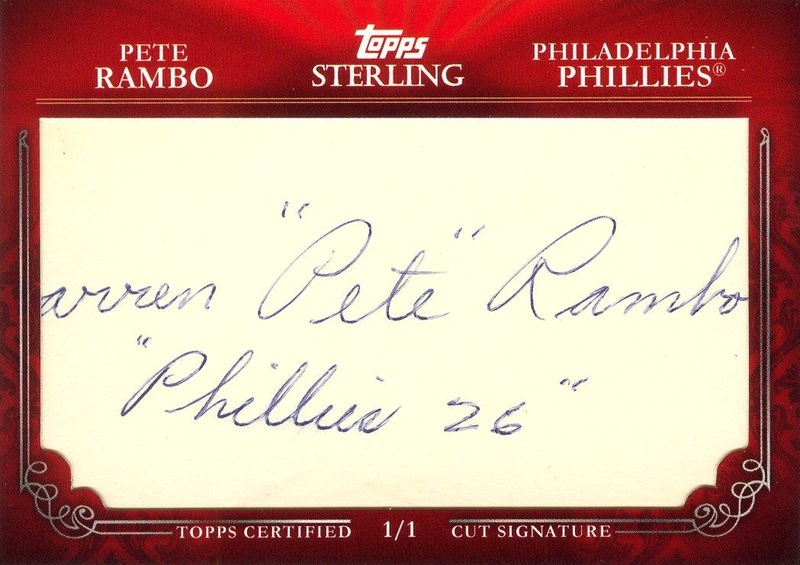 When you consider the length of the player’s career, the likely scarcity of his autographs, and/or how long ago the player died, I believe a certain level of uncertainty is understandable in regards to the authenticity of the auto. 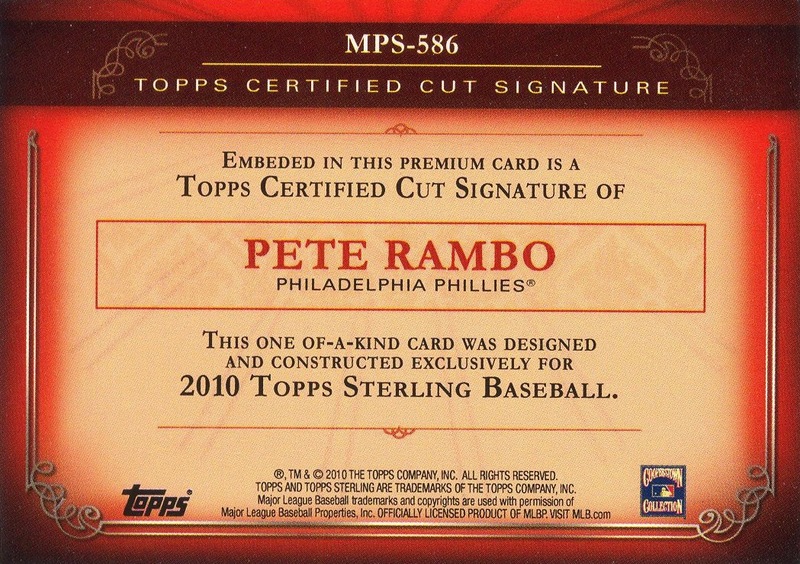 Mind you, this didn’t stop me from collecting a few of the Certified Cut Autographs from the 2010 Topps Sterling issue. Mostly, the key difference between them and the 2011 Leaf Ink Cuts cards was that these cards were actual “Phillies” cards (though, I would have preferred that they at least have a small inset portrait picture of the player whose autograph was on the card). However, it’s unlikely that I will be adding any more of these cards to my collection either as very few of them are even showing up on eBay anymore. I have one other issue with some of the cut autograph issues I’ve seen, but I’ll save that for another post.